A Rudong County, Nantong City resident lost consciousness while detained for her faith in Falun Gong, a spiritual discipline being persecuted by the Chinese communist regime. A doctor said that Ms. Zhu Liling must have encountered sudden trauma that knocked her unconscious. The local police refused to explain to her family what could have happened that led to her sudden fainting. Ms. Zhu remained comatose till her death two years and three months later, on June 14, 2018. Ms. Zhu suddenly passed out on March 10, 2016. Her family rushed to Nantong Hospital to see more than 30 officers surrounding her. She was drooling and ashen-faced. Her loved ones tried to talk to her, but she had no response. Ms. Zhu's fainting episode took place at Nantong City Detention Center, where she was being held following her arrest on September 1, 2015, for filing a criminal complaint against former Chinese dictator Jiang Zemin for initiating the persecution of Falun Gong. Falun Gong, also known as Falun Dafa, is a mind-body practice based on the principles of Truthfulness-Compassion-Forbearance. Ms. Zhu had been twice imprisoned for a total of 8 years for refusing to renounce Falun Gong. She was trying to hold Jiang responsible for her ordeal, only to be arrested again. The officers who brought Ms. Zhu to the hospital didn't explain why she fell into a coma. They threatened to sue her son when he initially refused to sign the consent form to have his mother undergo open-skull surgery. Ms. Zhu's son signed the form, and the surgery was done at around 9 that night. Ms. Zhu went into a vegetative state post-surgery, with a piece of her skull gone. The local Rudong County police and 610 Office, an extra-legal agency tasked with eradicating Falun Gong, often showed up at Ms. Zhu's home to photograph her and harass her family. Ms. Zhu suddenly had severe vaginal bleeding at 1 a.m. on June 14, 2018. She lost so much blood that her family saw her abdomen shrinking right in front of their eyes. She died shortly thereafter. This capped nearly 20 years of suffering at the hands of the Chinese regime. Ms. Zhu was born in 1950 and used to suffer from numerous symptoms. She, however, was illness free within just ten days of her practice of Falun Gong. Her simple pursuit of health landed her in police custody multiple times. Just one month after the persecution began in July 1999, police broke in to ransack her home. She was detained for one week in December that year. She was arrested in 2000 while on her way to Beijing to appeal for Falun Gong. She wasn't released until one month later. She tried again the following year and was detained again. When she was arrested in 2004, she was sentenced to three years in prison and sent to Nanjing Prison. The prison guards often abused her for refusing to renounce Falun Gong. She was once forced to stand for seven straight days, during which time she wasn't allowed to use the restroom or wash herself. Her feet and legs became extremely swollen. Guard Bai Zhenghui sent Ms. Zhu to a local brainwashing center on the day of her release from prison. 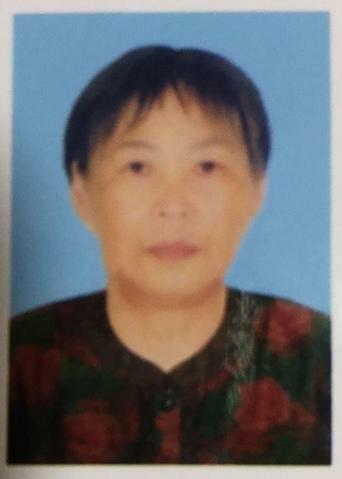 Ms. Zhu was arrested on February 5, 2009, and sentenced to five years. For three straight months, she wasn't allowed to sleep. The prison guards forced her to watch videos slandering Falun Gong during the day, and they poked her buttocks with sharp pencils when she dozed off at night. Ms. Zhu held firm to her faith. The guards then ordered inmates to lace her food with unknown drugs. She dumped the food to the ground upon discovering the ploy. Ms. Zhu kept talking to people about Falun Gong after she was released in February 2014. She filed a criminal complaint against Jiang Zemin the following year. More than ten officers suddenly broke into her home on September 1, 2015, terrifying her father-in-law, who lived with her and her husband. Ms. Zhu's lawyer entered a not guilty plea for her. Judge Wang Zhenghong yelled in court when the lawyer asked which law his client had allegedly broken. While awaiting the verdict in the detention center, Ms. Zhu suddenly lost consciousness on March 10, 2016. She never came to before her death on June 14, 2018.